There are swinging American big band tones in the air when the Nordkraft Big Band visits the Turbine in the fall. As an artistic director of the orchestra, Nordkraft has the work of American John Clayton – one of the biggest contemporary musicians in the international jazz scene. Nordkraft Big Band from Aalborg is Nordjylland’s rhythmic ensemble and has its roots deeply planted in the American big band tradition. Over the last few years, they have marked themselves as one of the country’s best big bands and collaborated with countless major artists from home and abroad such as Bob Mintzer and Roger Neumann (USA) and Danish stars like Szhirley, Søren Sko and Dorte Gerlach. 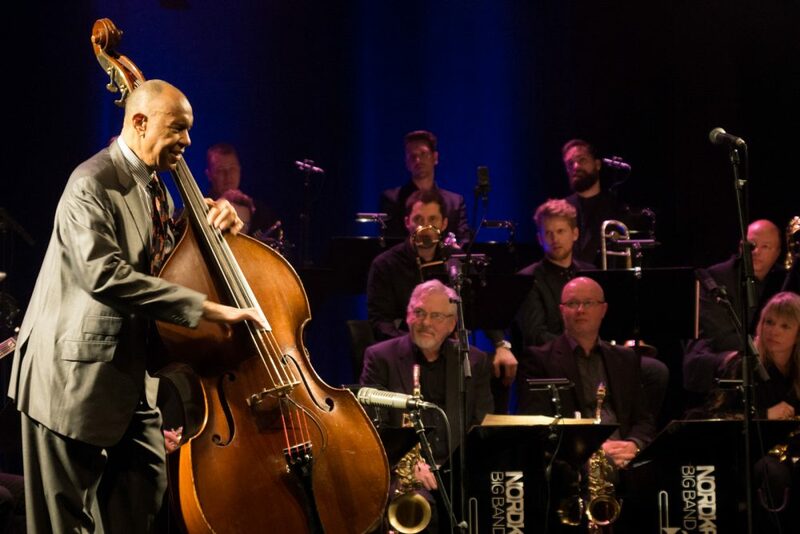 In 2018 and 2019 they have allied themselves with the famous bassist and composer John Clayton, who is the big band’s artistic leader in the period. John Clayton has quickly put his personal touch on the big band’s style of play, and the Turbine audience can look forward to an energetic and engaging concert that will consist of Clayton’s own material, heavily inspired by Count Basie’s, Duke Ellington’s and Thad Jones’s special colors and soundscapes. Additionally, the concert is spiced with Clayton’s own interesting feature on the double bass. It’s popular and it swings when Nordkraft Big Band and John Clayton give it gas in November. John Clayton is one of the greatest contemporary jazz musicians and, among other things, known for his collaboration with the Canadian pianist and singer Diana Krall. But Paul McCartney, Whitney Houston and Queen Latifah have also enjoyed Clayton’s accompaniment and events. He also leads The Clayton-Hamilton Orchestra, which counts himself, brother Jeff Clayton on sax and legendary drummer Jeff Hamilton. Randers Big Band has the same day a workshop with John Clayton, which ends in a half-hour concert with the local big band before Nordkraft Big Band goes on stage.